The first full-fledged trailer of Stranger Things season 3 dropped on the internet two days back. The new footage re-introduces us to the gang of kids - who are a little grown up now, new cast members and the horrifying new monster. The trailer sets the tone and the vibe for the next season dropping on July 4 and we are here for it. While the trailer is, indeed, impressive, it might not entirely be original. A fan pointed out that the trailer is spookily similar to one of Kojima Productions' video game, Silent Hills PT's trailer. Stranger Things 3: The Kids Are All Grown Up and There is a New Monster Hunting Them – Watch Video. 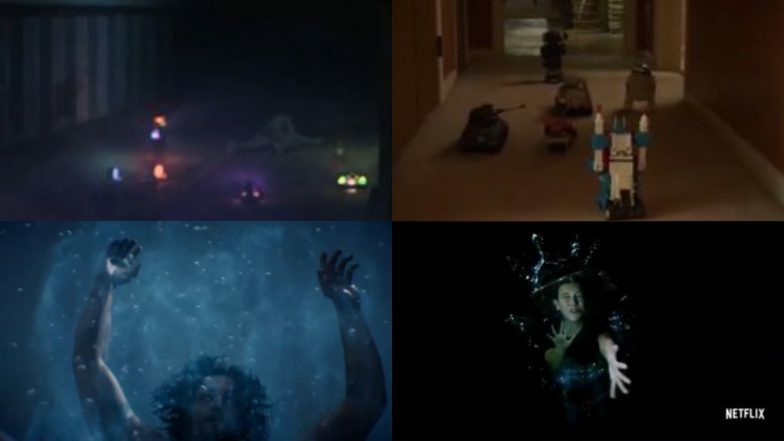 The video game's promotional video has the exact same shots of toy robots functioning on their own as in the Stranger Things 3 trailer. A shot of the radio is also eerily the same. And a few other shots that look like they've been lifted straight from Silents Hills PT. The fan alerted the video game production company. The thing is these co-incidences might be very deliberate on part of Stranger Things makers, The Duffer Brothers. The writer-director duo has said on more than one occasion that one of Stranger Things' inspiration is indeed the Silent Hill video games. Stranger Things 3 Trailer: From Billy the Monster to the ‘Terminator’, 12 Things You Might Have Missed in the Promo of Netflix’s Supernatural Thriller. In 2016, while talking to Variety about the look of the infamous 'upside down' alternate dimension in the show, Matt Duffer, said, "We talked about “Silent Hill,” the video games were an inspiration, and “Alien” was an inspiration, in terms of the look"
Also, in the book, 'Worlds Turned Upside Down', which is an official textual compilation of all the behind-the-scenes fun of Stranger Things, Matt repeats that their inspiration to create the 'Upside Down' came from 1998 video game Silent Hill. Well, technically this was not the first time we saw something Silent Hills inspired in Stranger Things. In fact, the whole show is popular for paying homage to cult classic movies and video games. So, we are certainly not bothered about the similarities.